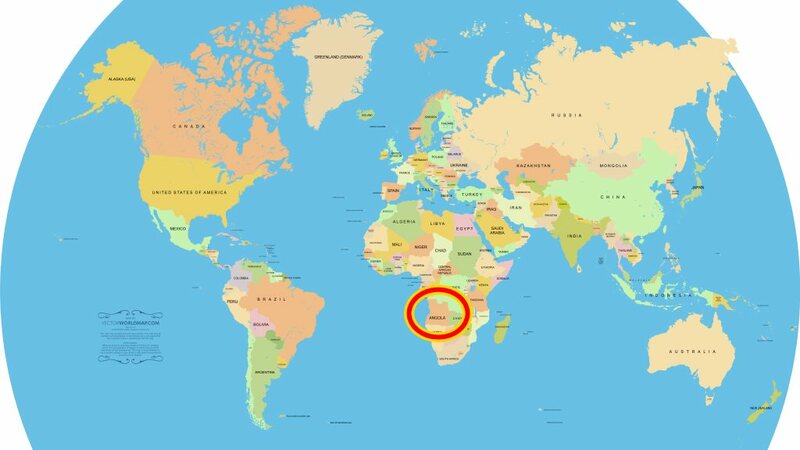 Actually, before starting, to those in Europe or the Americas who live “inside the internet” and are used to less than 30ms to most services let me show you where I live: Angola! Most content servers communicating with Angola are in Europe. 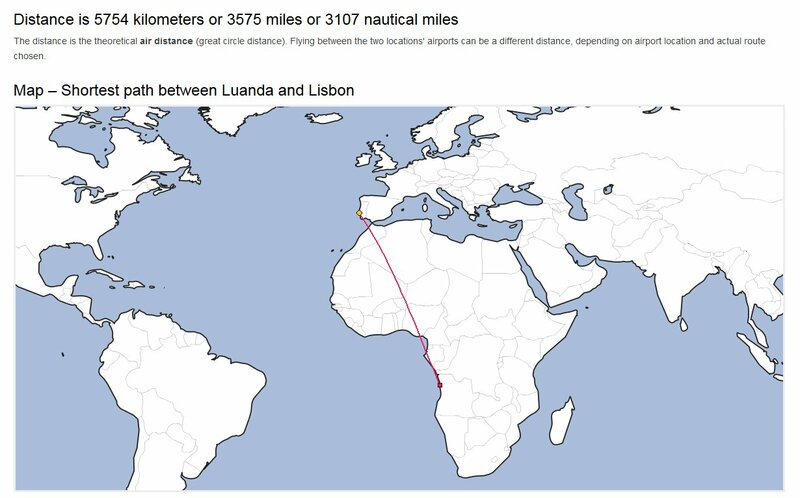 The distance between us and Lisbon is around 5.800km in a straight line. As if this was not enough, cables will not go through mountains, buildings and can’t go between countries suspended in posts. As if this wasn’t enough, to run their way through sea, cables have to go away from the coast and go around that big coast line “bump”. Because of this, the actual distance can double or triple. To run any distance takes time. The time required to travel this distance depends on the speed. In the case of submarine fiber-optic cables, the speed to consider is the speed of light in the optical fiber. This is approximately 200.000 km/s, 2/3 the speed of light in the vacuum (~300,000 km/s). From the above, we can see that no provider can significantly reduce the average 150ms to the internet unless it can increase the speed of light on the fiber optic or reduce the distance between continents (hahahah). And if your calculations and guessing show you smaller values, don’t forget that equipment all along the path (repeaters, switches, routers) and the access technology you are currently using (Wi-Fi, WiMAX, LTE…) all add a few milliseconds to the equation. 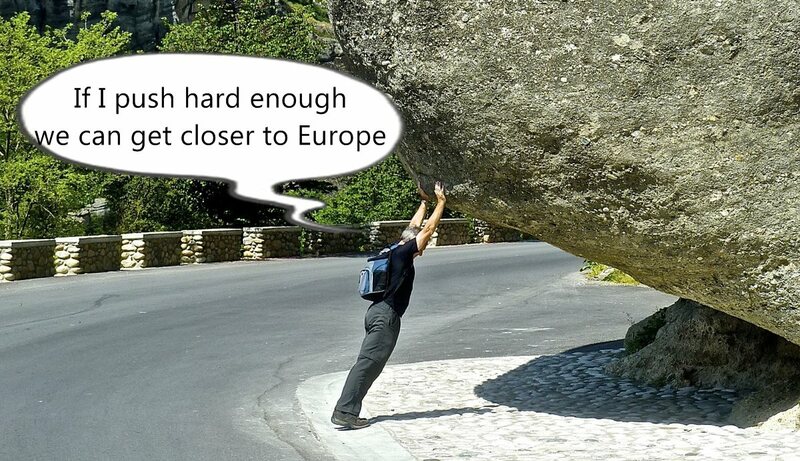 Like almost everything, of course there is: bringing the “internet” closer to us. But I won’t go through this here as the topic was already touched on ina previous article about IXPs. Note 1: I am not a specialist in undersea communications or the physics involved in fibre optics cables. This post was written to be presented in a simple and clear language. 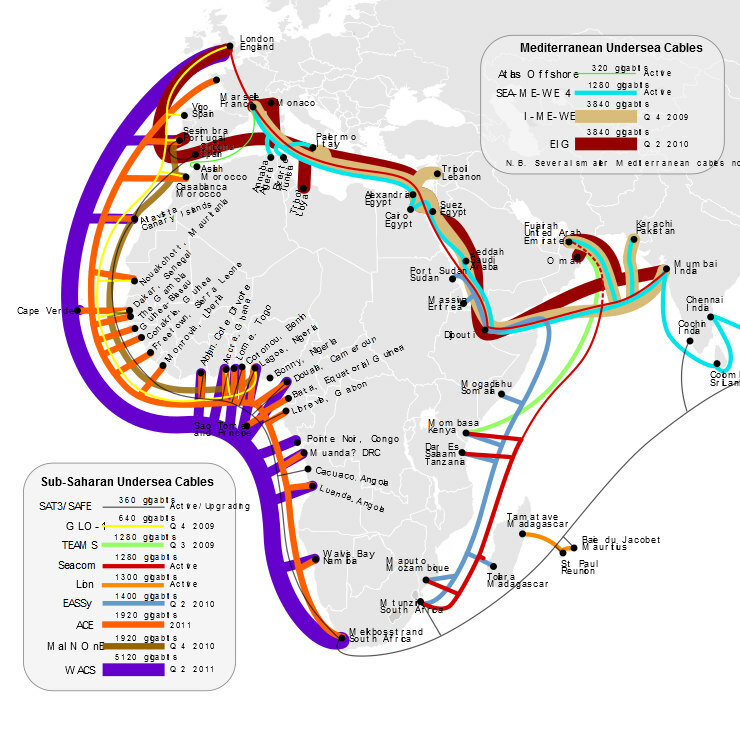 Note 2: I chose Lisbon because it is the first exit point in Europe to both submarine cables currently servicing our country, SAT-3 (South Atlantic 3) and WACS (West Africa Cable System). How Fast Does Light travel through Fibre Optic Cable? 2 Comments → Can we reduce the 150ms to the “internet”? The problem is: how can angolans convince content providers and deliverers to come to Angola? Hi Sadraque, an honour to have you here. Its tough topic to discuss in a comments thread but based on the link you sent, yes its very hard for the big ones to put their own managed DC’s here. They need not only basic infrastructure to assure high availability but also the local know-how to cut on the already high costs. At the end of the day, these companies want users and traffic. That would take us to the politics of increasing internet penetration and usage throughout the country. But there are other possibilities that can improve service and are already working for us like the Google Global Cache, Cloudflare, Akamai and a few others. The difference is that with many of these, they only manage the platform and not the infrastructure.